Recently I came across this reproduction of an old newspaper clipping. 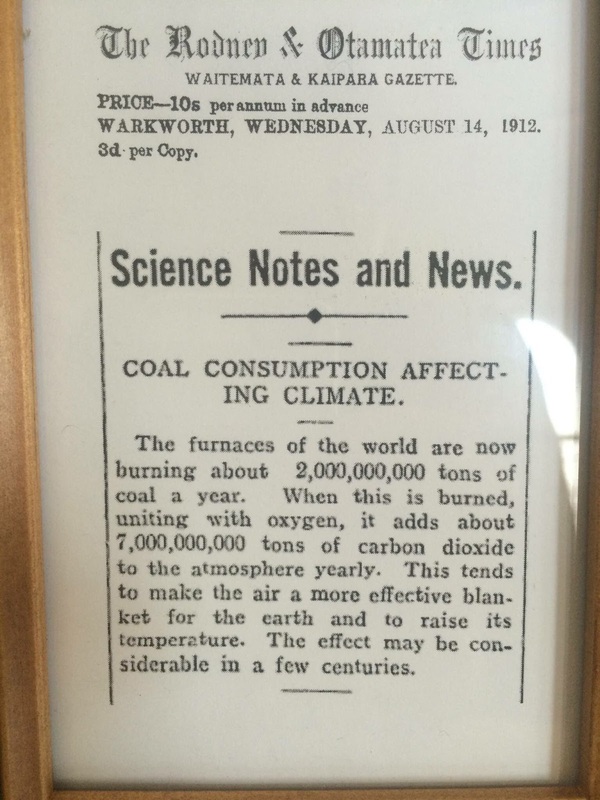 It stated it was from the August 1912. (A few days before my grandpa started school!). Naturally, I was suspicious - we have been inundated with so much fake news lately! I was suspicious but also curious, so I did a little research. My search lead me to Te Puna Mātauranga o Aotearoa (The New Zealand National Library) and in it, I found The Rodney & Otamatea Times (electronically available from the first issue in 1901 through the end of the year 1945). 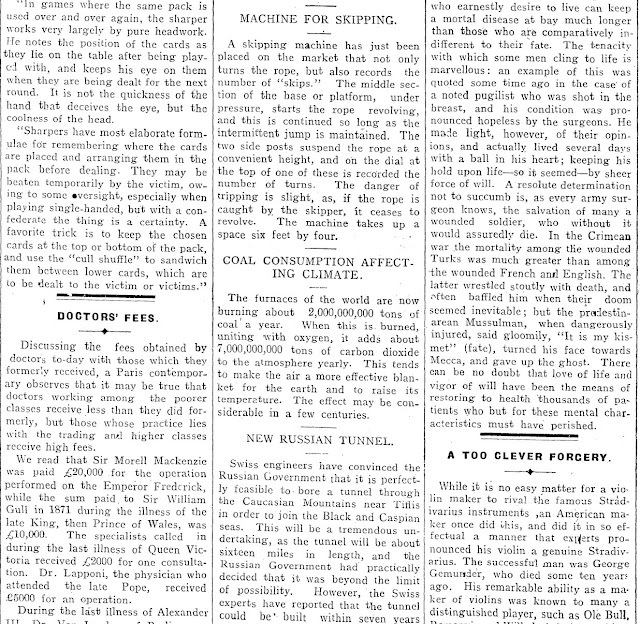 Here is the link to the full page 7 from the 14th of August, 1912. And here is an actual clipping from that page with the article within its immediate context (a delightful example of early 20th century journalism). While doing my research, I also realized that there was no real reason for my original suspicion about ahistoricity of this article. French physicist Joseph Fourier made the first scientific observations about greenhouse affects of atmospheric gases as early as in 1820's. By 1896 (that is correct, 1896!) a Swedish chemist and future Nobelist, Svante Arrhenius, proposed the first scientific formula for calculating the planetary greenhouse effect. Within this historical context the article in the New Zealand newspaper makes perfect sense. 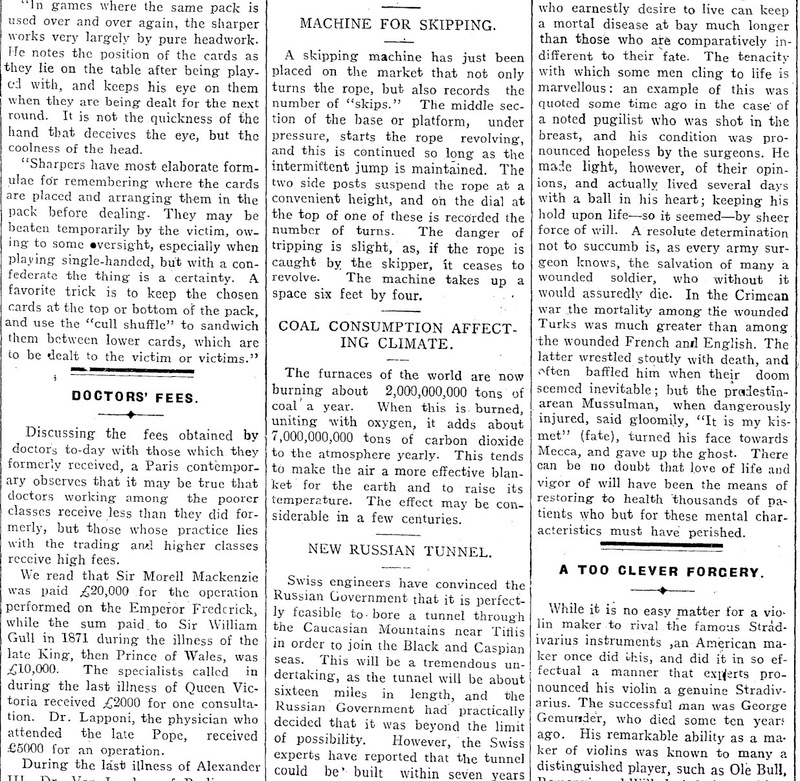 In 1912 they were popularizing what was, by that time, a well established science. 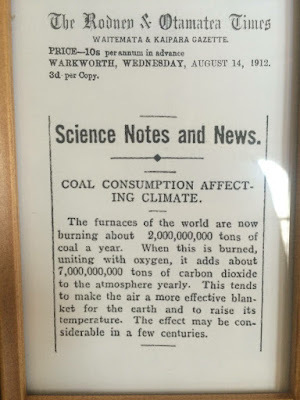 On the other hand it is almost unbelievable that one hundred years after the Kiwis could read a popularizing note about global warming in their local weekly, we are about to have a government composed of nitwits who are denying, rejecting and actively undermining this old, well proven and solid science. Why am I writing about this in the Friday Message? Because it is a serious matter! It is a matter of survival for this Planet which God entrusted into our hands. 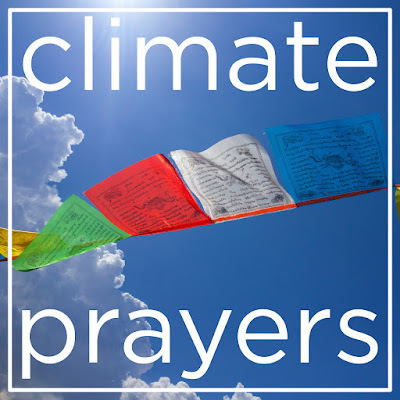 This Sunday, the first Sunday and the first day of the New Year, we will gather in worship to raise prayers for, and to protest on behalf of the climate and the environment of our Planet. Inspired by an ancient old tradition, our prayers and display of protest will have the form of the prayer flags. How come the Bible gives us two stories about Jesus’ birth? Do you remember our Sunday School’s Christmas Pageant? On the Fourth Sunday of Advent our children clearly presented this duality. But why is it so? Why do we have in the Bible two different and even incompatible stories? 3) early hardships - homelessness in a stable (Luke) or refugee status in Egypt (Matthew). It is clearer above the brightest star that God’s incarnation is not some sugar coated melodrama but from the very beginning a genuine solidarity with the poor, the downtrodden and the alienated - that is the greatest mystery and joy of Christmas and its parables. Now guess from these two pictures which other two parables are going to illuminate and help us celebrate the Christmas miracle of incarnation on Christmas Eve and Christmas Day. This is my most beloved symbol of light. It is a symbol of light which does not look anything like it! It is a symbol of light which does not shine, a symbol of light which itself is usually brown or black. It is a lei made of kukui nuts; in English they are known as candlenuts. Kernels from these nuts, as their name suggests, were strung and used for candles, or pressed and their oil used in lamps. Thus, the kukui nut became the dark symbol of light. Originally, the leis made from kukui nuts were reserved for the teachers, priests and chiefs who were known for their insight, knowledge and wisdom. Candlenuts were a symbol of knowledge, understanding and enlightenment. Advent this year brings us not only ever shorter days, but also the spreading darkness of ignorance, ineptitude and incompetence. 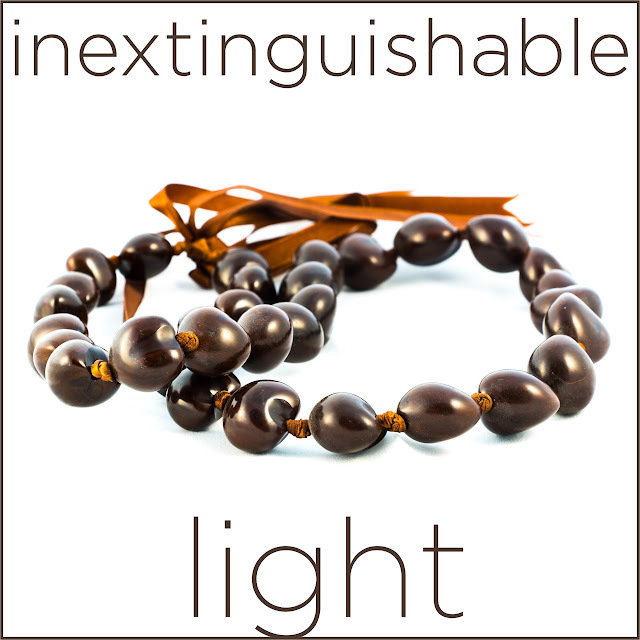 Candlenuts represent a fitting metaphor for inclusive, hopeful, invincible enlightenment. Come this third Sunday in Advent to be encouraged and empowered by divine light.